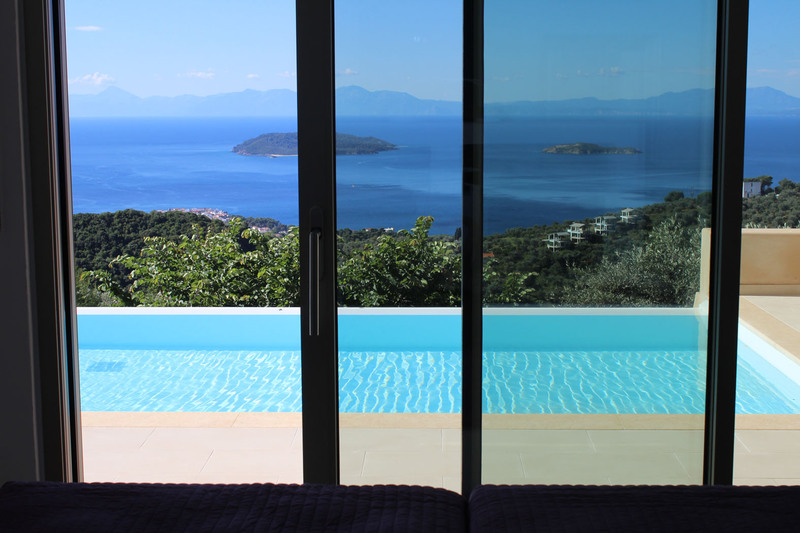 Five luxury villas situated right above Skiathos town. Zaki Villas consists of five new luxury residences built-in a little different and separate hillside levels, keeping privacy and the same breathtaking sea view. Hidden away in large grounds of olive groves and pine forests the villas are totally private and have spectacular sea views. Attractively terraces provide a shaded escape from the sun lead to pool terraces with areas for sunbathing and relaxing. All the villas are surrounded be lush planted gardens and olive trees overlooking the hillsides and the infinity blue of the Aegean. Each residence enjoys its own private swimming pool and spacious outdoor area with BBQ and dining areas for endless hours of relaxation. The interiors are spacious, nicely furnished and highly equipped. Villas has modern comforts and facilities for those seeking high standards ιn holiday accommodation. Modern spirited is bound to electrify guests with a breeze of luxury and comfort, paying particular attention to convenience and detail. The ideal location, nice decoration, amazing view and warm hospitality promises unforgettable vacation.